VISIA Skin Analysis is a revolutionary computerized system for analyzing a person’s complexion. We offer this amazing technology in our West Bloomfield area Med Spa, to determine our patients’ overall skin condition – so we can determine the best skin care treatments and products to target their unique skin damage issues. In this article we discuss the 8 types of skin damage that can be detected with VISIA® Skin Analysis. In general, skin lesions are round and easily differentiated from background skin tone by their red or brown color. Acne scars, vascular lesions, hyper-pigmentation and even freckles can vary size, but are all considered a form of skin damage. Pores: Pores are easy to identify due to their smaller size, roundness and coloring. 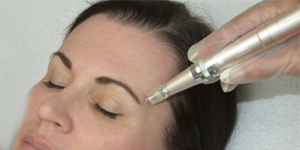 The VISIA® Skin Analysis is conducted in our West Bloomfield area Med Spa where we compare a pore’s shape, size and definition to the rest of the skin, before identifying it as an opening of a sweat gland versus a spot. Wrinkles: A patient’s facial animation and expression can easily create varying wrinkles in the folds of their skin that are unique to them. Depending on the skin’s diminishing elasticity and amount of sun exposure, long narrow creases and folds can appear, which increase over time. Texture: The VISIA® Skin Analysis measures how smooth the skin’s texture appears compared to the peaks and valleys on its surface, as well as gradations in color compared to the surrounding skin tone. Porphyrins: Spots that secrete bacteria are Porphyrins. Most often associated with blocked pores and acne, these circular white spots become fluorescent when viewed under a UV light. UV Spots: Sun damage causes concentrations of melanin below the skin called UV spots, which under normal lighting aren’t typically visible. The VISIA® Skin Analysis conducted in our West Bloomfield area Med Spa can detect UV spots based on the epidermal melanin’s selective absorption of UV light. Red Areas: The VISIA® Skin Analysis uses RBX Technology to detect red areas within the skin’s papillary dermis, a sub-layer that contains hemoglobin and blood vessels that give red areas their color. Red areas include conditions such as short and thin spider veins with dense interconnected networks; acne spots and inflammation which are typically round but vary in size; and rosacea that usually affects larger and more widespread areas compared to acne. Brown spots: The VISIA® Skin Analysis RBX Technology can detect skin lesions such as lentigines, melasma, hyper-pigmentation and even freckles, which present as brown spots caused by too much melanin. Melanocytes produce melanin in the bottom layer of the skin’s epidermis but excessive production results in brown spots that create an uneven skin appearance. VISIA® Skin Analysis offers a truly customized assessment of each patient’s skin condition. 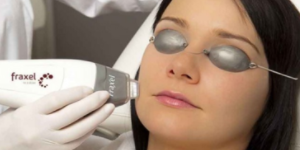 The advanced technology works to identify areas of sun damage so our West Bloomfield area Med Spa staff can ensure you receive the best possible skin care treatments, with incredible results that help improve your overall complexion and skin tone. West Bloomfield area medical aesthetician Ramona offers the absolute best technologies in anti-aging, skin resurfacing and skin care treatments. Schedule a VISIA Skin Analysis and consultation to learn exactly what type of damage your skin has experienced and see which type of facial treatment is best for your skin type and beauty goals. Then relax in our West Bloomfield area MedSpa, while Ramona makes you look and feel younger and even more beautiful!